Situated 270 meter from Sky Mirror Selangor, Malaysia Backpackers in Kuala Selangor has a shared lounge. 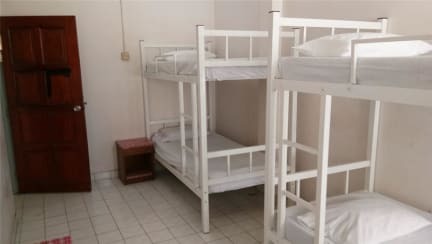 Malaysia Backpackers Hostel is set a short distance from attractions such as Kuala Selangor National Park, Firefly, Pasir Penambang, Bukit Malawati Historical Park and many more. Travelers who love nature must stay here. You’ll love the place because of the neighborhood because my place is 2nd floor located on the main street to Bukit Malawati which you can access easily to restaurants and convenience store. All the facilities and public transport just near by. I would avoid this place if at all possible. 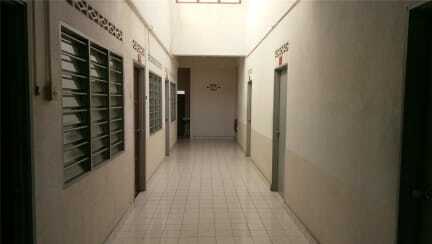 This place is more of a bed sit with many people living here full time. It is very cheap but you get very little for that money just a bed and wifi. The rooms were extremely warm, hotter than outside. Tbh I would avoid the area not a lot to see at all and getting around would be difficult without a car. This is bad. I mean really bad. A lot ( and I mean a LOT!) of cockroach. Everything is dirty and need a real restoring work. Don't fall into the trap of the manager who will get you from one place to another and then ask you for money (60RM for 15km). This guy is just too oppressive and dishonest. He will get you into a stressful way of travelling by getting you into one place to another so he can charge you even if you say "NO". Please preserve your money and don't go there.